Your basement can be an important part of your home. In many houses, it offers a significant amount of space and expands the area you have for your family to live—or it may even provide you the space you need for a home office. However, to utilize the space to its fullest, you may need to invest in a few upgrades. Quality flooring for your basement is one of the most important purchases you can make to add beauty to this space. How do you decide on what type of floor? Are the same choices you use upstairs okay to use in the basement? Two of the most popular floor options on your main floor, hardwood flooring, and laminate flooring are not the best choices for the cellar. Hardwood flooring is any floor manufactured from timber. While it does have a beautiful, natural look, it can be a poor choice in the basement because it absorbs moisture and can warp over time. Laminate flooring (a multi-layer synthetic flooring that is fused together with a laminate process) also suffers from the same problem. While you may wish to avoid these two floor coverings, other choices are much better suited for the basement. Four of the most popular basement flooring options are epoxy floor coatings, ceramic tile, engineered hardwood flooring, and vinyl. 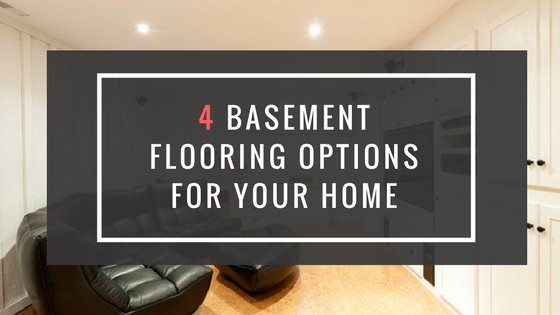 After you have learned about these options, you’ll have some ideas about what basement flooring choices may work best for you. Ceramic tile may be commonly thought of as a choice for kitchens or bathrooms, but it can be a good option for your basement too. Ceramic tile is made from clay, which is hardened and then glazed. Moisture has no effect on ceramic tile, so that is one reason you may wish to choose it as your basement floor covering. Also, just like your tile upstairs, you’ll find that ceramic is very easy to clean. In addition to the practical reasons for choosing ceramic, you cannot beat the color and style options available in this flooring format. You are limited only by your imagination. There are plain colors as well as highly decorative tiles. Another consideration is using tiles as a decorative element in part of your basement. Even if ceramic tile isn’t a traditional choice for the basement, it is certainly worth looking at the options and thinking about the benefits. A paint-on floor covering--how cool is that? While you may "paint it on", epoxy floor coating is not the same thing as paint, though many people think it is. It is a combination of epoxy resin and polyamine hardener. The coating is naturally transparent, so if you like the look of your floor “as is,” the coating can be added as just a protective element. However, one of the biggest benefits of epoxy floor coatings is that they can be tinted nearly any shade imaginable. The tint is added to the resin during the mixing process. Then, when the floor coating is applied, it will cure to provide a strong, durable finish in your desired finish. Epoxy floor coatings are highly desirable as a basement floor covering because of the cured finish. It is virtually waterproof and will protect your floor from moisture. This waterproof feature is especially important in the basement where water can seep in after a hard rain. Also, epoxy floor coating is easy to apply, and the finish is beautiful. If you like the look of hardwood, but you realize that “real” hardwood or laminate may not be a good choice, perhaps one of the newest engineered hardwoods would be a good option. Today, there are engineered floors on the market that are nearly indistinguishable from the real thing. The process used to create engineered hardwood makes a product that is much more resistant to moisture than real wood. This means that your new floor will be the ideal choice for use in the basement. Choosing engineered hardwood may be exactly what you want if you are planning to use your basement as a recreational area or a home office where you will have customers or vendors visit you. Engineered hardwood has a professional, even elegant look, and the price is affordable when compared to real wood floors too. Check out the options, you may be surprised by how "real" something engineered can actually look. Today’s vinyl flooring is made of resilient vinyl, but can be crafted to offer you nearly any look imaginable. 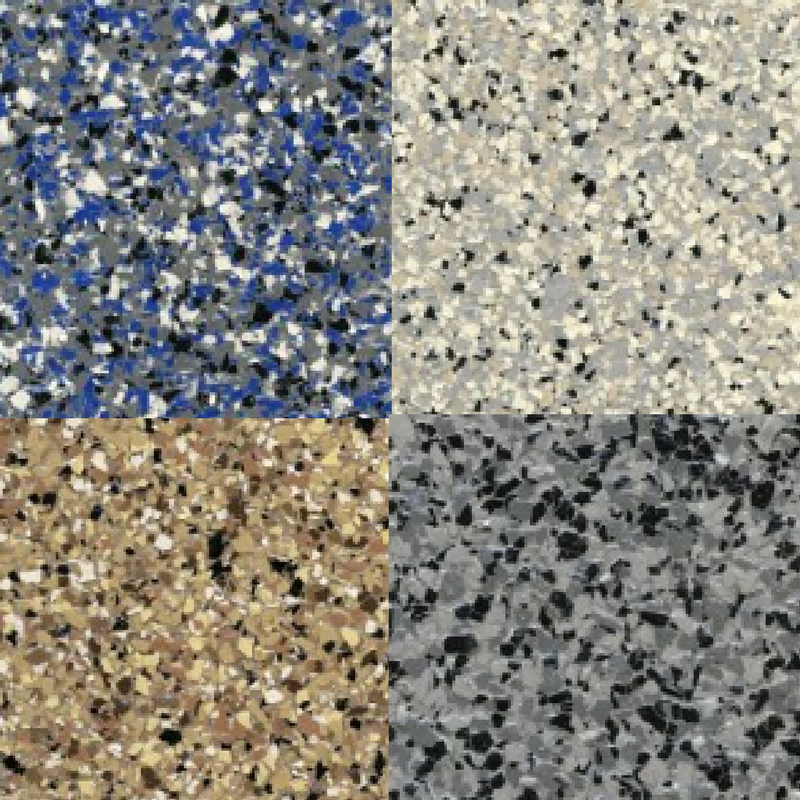 In fact, vinyl flooring can look like stone, wood or tile. Because vinyl flooring offers a slightly softer feel than tile or wood because the flooring is backed up by a thin layer of foam or felt, it may be an excellent choice for your basement space if you want something that feels a bit more “homey.” Vinyl is very easy to clean using regular cleaners and a mop, and because vinyl wipes clean, it can easily withstand slight moisture or even a small flood. In addition, the basic vinyl flooring options are relatively inexpensive, so it can be a good choice when budget is a concern. Whether you use it for extra storage, a recreational space for the family or a work area, the right floor can make or break your basement. These four flooring options discussed above are some of the best choices available in terms of performance—and they come in many colors, styles, and types so your basement can reflect your personal style and taste too. 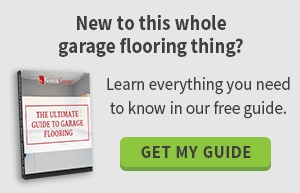 Are you considering adding basement flooring to your home? Contact us at Boston Garage today to learn more about our services and let us get your basement flooring project started today! We look forward to working with you.